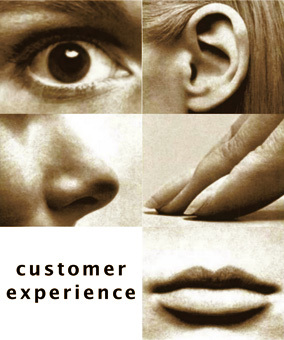 Customer experience management didn’t always go by that name, but people have always recognized the value of excellent customer experiences. One of the benefits: word-of-mouth advertising. But didn’t you always wonder how a business got word-of-mouth advertising? Nobody seemed to have a real answer, and not a lot of effort or money was earmarked for figuring it out. 73% of customers choose brands with friendly employees, and only 33% choose brands because they have a good reputation. That’s right: What your company does matters more than what your company appears to do. If you thought we still lived in a world where ad buys could stoke customer demand, you might be in for a shock. If you’re in a competitive market, neither price nor clever advertising will guarantee an advantage if delivering to your customers is treated as a necessary evil. Think of it from the customer’s shoes: they don’t buy something because they’ve heard the brand is good. Instead, they think the brand is good because they’ve had a great experience with helpful, friendly staff. That’s what will keep them coming, and it’s what will keep your organization in business. 22% of people who have their negative comments acknowledged will post a positive comment about the organization. Caring about customer experiences doesn’t mean everything always goes right. People have bad days, products fail, and mistakes happen. For the frustrated customer, that something happened usually matters less than how it’s dealt with. For the really proactive company, this is an opportunity in disguise – and the payoff is a true customer advocate. It’s easy to look at a negative social media comment with disdain. “Anyone will say mean things when they’re behind a screen, right? It couldn’t have possibly been that bad.” But by treating the complaint seriously, by listening honestly to the unmet expectations of your customers, you open up the possibility that they’ll change their mind about your organization. If that’s the path you take, then 22% of the people you might have ignored will follow up their complaint with praise. That’s the sort of turnaround you can’t buy – it’s something you can only do by treating your customers like real human beings. 86% of people will pay more for a better customer experience, and 89% will go to a competitor after a bad one. Marketing is all about getting people to buy your products, right? So if someone told you that the vast majority of potential customers will pay more for something if you provide it, but take their business elsewhere if you don’t, you had better get cracking. In other words, your whole business revolves around customer experience, because your whole business revolves around your customers. The world of marketing is changing, and it’s changing as business becomes more social. It’s not a top-down, dollars-and-Super Bowl ads world anymore. Getting new customers and keeping old ones requires caring deeply about every interaction that a person might have with your organization. It really is about getting closer to your customers, and it’s just about the most rewarding thing an organization can do.